The Obama administration says it will allow Haitians already in the U.S. illegally to remain because of this week's catastrophic earthquake. Homeland Security Secretary Janet Napolitano granted the temporary protected status on Friday. 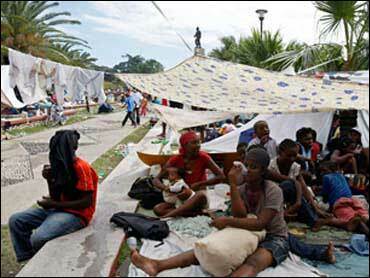 The protection is only available to Haitians already in the country as of last Tuesday. On Wednesday, Napolitano temporarily halted deportations of Haitians, even those already in detention. Temporary protected status is granted to foreigners who may not be able to return safely to their country because of a natural disaster, armed conflict or other reasons.